Actually, no need to use complex application to merge two files. Although the application to merge two files can be downloaded at various websites that provide the application. The advantage is the application can do a better encryption. Thus combining these two files will be run more secure. But basically, the application process by merging two files is to merge the existing binary code of each file. If you know the basic operation of DOS commands, then this can be done easily. The disadvantage is the low level of encryption. However, it is not a problem, since the main objective is to merge two files. The most suitable example is to merge the two files such as an image with text files. The main requirement is a text file must be converted first into the form of compressed files. You can use WinRAR, Winzip, or another application to compress the text file. The next step is to go into operation CMD (command-prompt). Click Start, select CMD. After the CMD window open, go to the location of the drive or folder where the files you want merged. copy /b file-name-1.jpg + file-name.rar file-name-1.jpg. file-name-1.jpg is the first image file that will be the main file. file-name.rar is a text file that has been compressed. In the windows-explorer, do right-click on files that have been merged, select "Open with". Search applications such us winrar, winzip or other compression applications to open the merge-file. OK. Done. 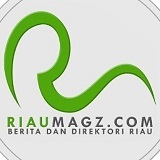 This method can be used to hide the latest videos collection of artist Tary Ariel Luna after downloading free download videos collection of Ariel Luna Tary. 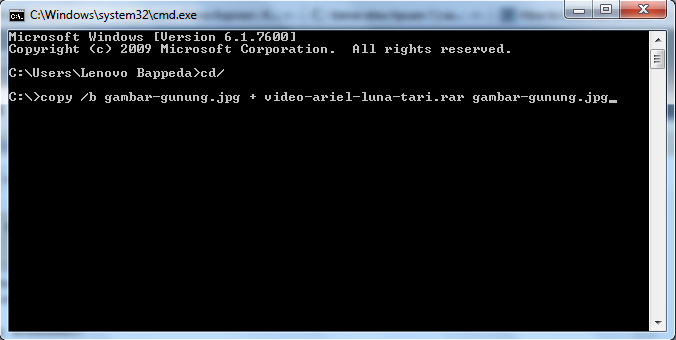 Or you can combining file video "Babi Bermuka Dua Bermata Tiga" after downloading it. In that case, use it for personal use. Do not distribute the free download collection video especially ariel luna tary hot video.